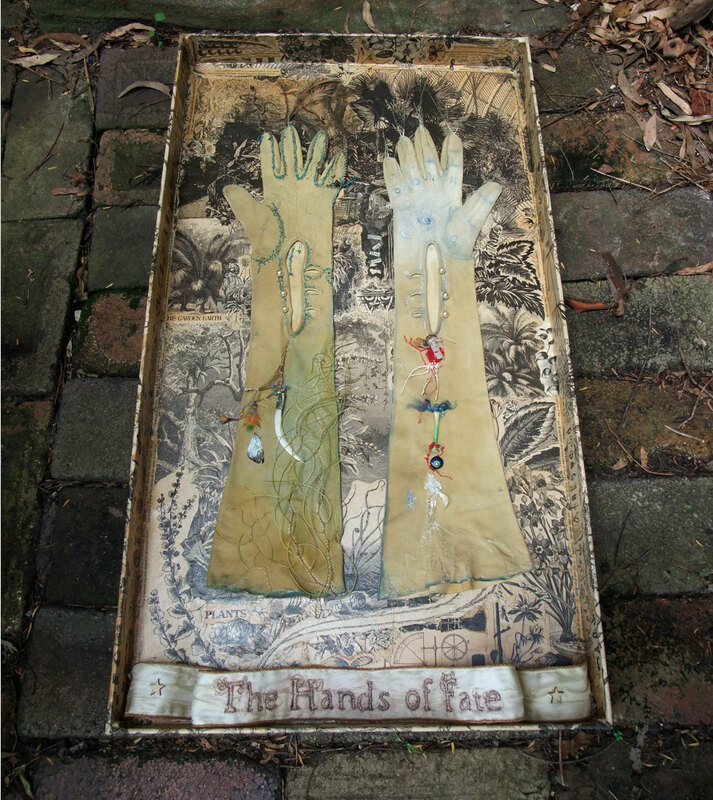 A beautiful tribute to your hands…..the whole piece looks wonderful Mo. From the making of the box, the use of the old gardening mag. the embroidering and those gloves…WOW! (((Eliene))) it’s a thank you letter to my hands! Wow Mo they are wonderful. That ribbon title works beautifully. The spirit, the heart, the depth and the detail all combine in a wondrous alchemy! I really enjoyed looking back through posts about this developing – a real triumph Mo! thanks Grace, getting the lettering to work on the rotted silk of the ribbon took a bit of doing but it got there in the end! Everything has found their rightful home there in your hands Mo. this one took quite some time but got there in the end! Hi Gillian, go for it, the construction of gloves is fascinating! 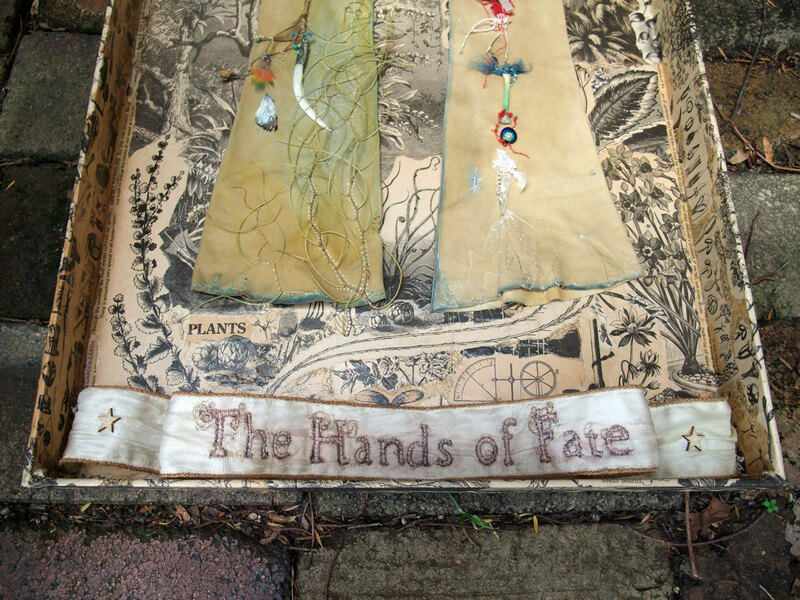 Healing and creating hands. Beautyful magical. gorgeous, how is it to stitch on the leather? So stunning. I love how the leather and natural bits relate to the densely printed background that you collaged. And, as usual, the language of craft — your supply list — reads like poetry. Can the box hang vertically? I will be displaying the box and gloves flat on a plinth as I want to encourage people to handle them & even try them on. well this is my thoughts so far Madeleine who owns Artsite Gallery will be hanging the show & may well want them on the wall, if that is the case I will have to figure out how to tie them in place! They look so fragile for all that handling!